Like a gelatinous mass oozing inexorably forward and consuming whatever lies in its path, the film industry continues to advance through the last century of intellectual property, sucking up all it encounters and regurgitating it, slapping it with an origin story and the hopes that it might kickstart a franchise or, better yet, a cinematic multiverse. 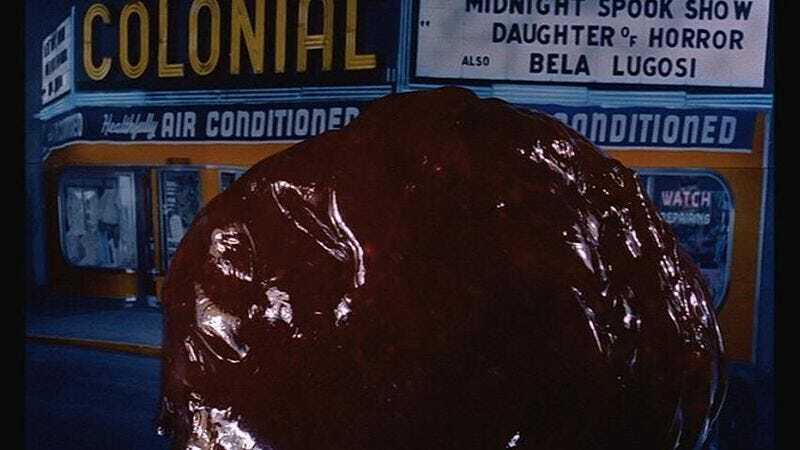 This time it’s the 1958 horror classic The Blob—already remade once in 1988—getting the digestion/reboot/origin story treatment. As we reported back in January, Con Air director Simon West is the director behind this iteration of The Blob. Now Den Of Geek has some fresh insight on the movie, obtained from West on the press tour for his latest film, the Jason Statham-starring Wild Card. West promises a “more sci-fi” take on the story, as compared to the previous two, which he describes as “small, niche genre horror movies.” With its refusal to explain the all-consuming titular menace, the 1958 original can be read as either an anti-communist or anti-McCarthyist allegory, whereas the 1988 version, in which the blob was the result of a sinister government experiment, played on AIDS panic and lingering post-Watergate distrust of the government. Then there’s this one, which, like every other goddamn movie being churned out with the subtitle “Origins,” fills out the blob’s back story (it’s an alien, obviously), explaining “where the blob comes from and how it works.” West says the “more sophisticated” blob he envisions is “more along the lines of Alien and Predator and things like that—much more science-based, the way Jurassic Park made you believe you could bring back dinosaurs with a bit of DNA from a mosquito.” In other news, a half-dozen junior studio executives just put out calls for story treatments on a new Alien Vs. Predator Vs. Velociraptor Vs. Blob franchise.